Local peaches are in season and blend beautifully with blueberries in this delicious smoothie! I love to see how excited people get when they buy their first high-quality blender. Most of them immediately get hooked on smoothies and start blending up every imaginable fruit and vegetable. We bought our first good blender at least 15 years ago. It was a Vitamix. We feel so strongly about how it has contributed to our health that we have bought one for each of our children. Juicing is great. This process allows you to consume far more fruits and vegetables than you could ever get by eating and chewing. Juices deliver critical nutrients and phytochemicals to your body in their purest form. Consuming nutrients in the form of juice can be very important therapeutically, especially when your body is in a weakened state, needs to conserve energy, and assimilate nutrients instantly. Juices also deliver an enormous amount of sugar without the benefit of dietary fiber, which is stripped out in the juicing process. Blending, on the other hand, retains the dietary fiber and requires fewer (but ample) fruits and veggies to make a nice thick 8 ounce smoothie. Whereas juice can cause a spike in blood sugar, dietary fiber can stabilize it. Fiber also makes you feel full longer, protects against colorectal cancer, and reduces the risk of coronary heart disease. Although juicing may help you get your 5 to 9 fruits and vegetables per day, it will not help you get to your 25 to 35 gram recommended daily fiber intake. One large apple provides more than 5 grams of dietary fiber, which is great. However, it also contains the equivalent of nearly 6 teaspoons of sugar. You might throw one or two into a smoothie where the fiber would help prevent your blood sugar from spiking. But you might use far more than one or two apples to make a glass of apple juice and it will have zero fiber to protect your blood sugar from spiking. Carrots are another good example. I generally throw one large carrot in a smoothie but to make juice, I might use 10. A large carrot provides 2 grams of dietary fiber and the equivalent of almost 1 teaspoon of sugar. And one carrot is all you need to get 241% of your daily requirement of vitamin A. But juicing 10 carrots strips out all of the fiber and delivers 8.5 teaspoons of sugar. I'm not suggesting that you give up your juicer, I'm just suggesting that you may want to juice in moderation and lean towards making more smoothies. And whether you are juicing or making smoothies, use fewer fruits and always try to include low carbohydrate green vegetables like spinach or kale. When making smoothies, you can also throw in a handful of nuts or seeds to provide some protein and healthy fat. A good blender is expensive costing around $400. But they last for years and years and if used for healthy smoothies, raw or cooked soups, dips, sauces and other healthy dishes (and not just for margaritas) they are a great investment in your health. I have lots of kitchen toys but if I could only have one, it would be my high-speed Vitamix blender. I prefer this model of Vitamix because it has a variable speed dial. 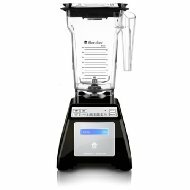 Blendtec is also a very highly recommended brand. These fruits really complement each other and although the deep purple blueberries hide the color of the peaches in this delicious smoothie, they certainly don't mask their wonderful peachy flavor. This smoothie is low in calories, provides over 800 mg of omega-3 fatty acid and a whopping 8 grams of dietary fiber per serving! 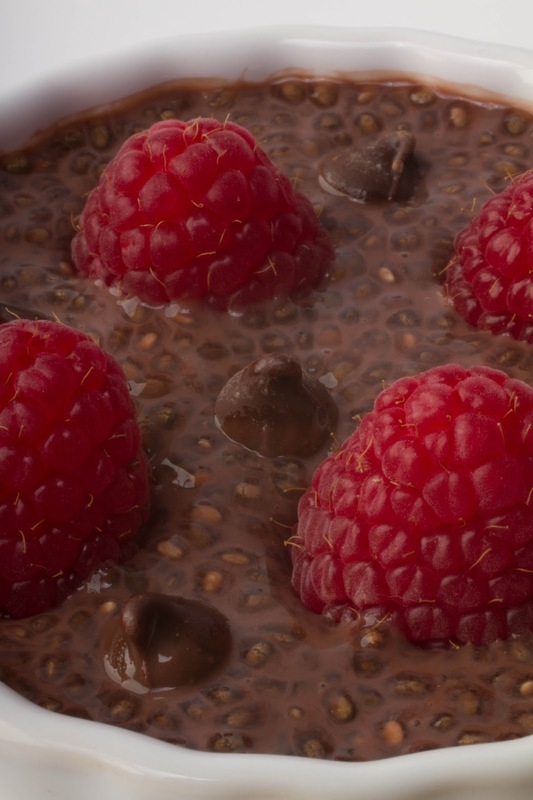 Place the almond milk and ground chia seeds in the blender, pulse briefly and set aside while preparing the other ingredients. Place the remaining ingredients in the blender and process until smooth. Serve immediately. Per serving: 163 calories, 2 g total fat, 0 g saturated fat, 842 mg omega-3 and 592 mg omega-6 fatty acids, 0 mg cholesterol, 4 g protein, 37 g carbohydrates, 8 g dietary fiber and 16 mg of sodium. 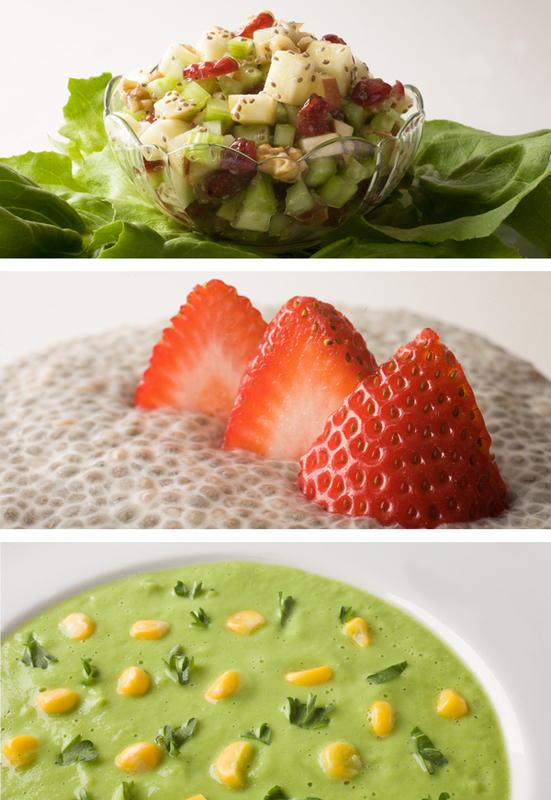 For more ideas on how to create healthy smoothies, see my ebook Health Begins in the Kitchen. FDA Warns Of Health Risks With Healthy Life Chemistry By Purity First B-50 - Dangerous Ingredients Not Listed On Label! When you purchase vitamins, you may not always get what you think. Occasionally vitamins contain a different potency than advertised. Sometimes they contain harmful contaminants like lead or other toxic chemicals introduced in the manufacturing process. Yesterday the U.S. Food and Drug Administration warned consumers about a vitamin that contains steroids. 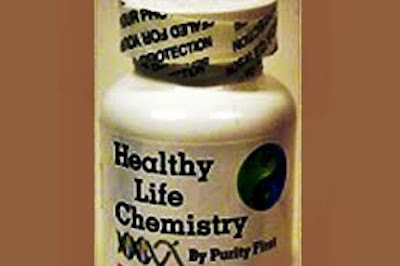 The FDA advised consumers not to purchase or use Healthy LIfe Chemistry By Purity First B-50. Although it is marketed as a vitamin B supplement, it was found to contain two anabolic steroids that could potentially be harmful. The first is methasterone, a controlled substance, and the other is dimethazine. These steroids were not listed as ingredients on the label. If you have experienced any of these symptoms from taking this dietary supplement, the FDA advises that you see a health care professional and report your experience to the FDA. To do that, complete and submit the report online. Or call 1-800-332-1088.
shown with broccoli, radishes and purple bell peppers. At the end of the day, Doug and I enjoy sitting on the back deck that overlooks Turtle Vines, our organic Pinot noir vineyard. Right now the grapes are starting to turn purple and harvest is only six weeks away. While we sit and count the humming birds, we like to enjoy a little glass of wine and have an appetizer. 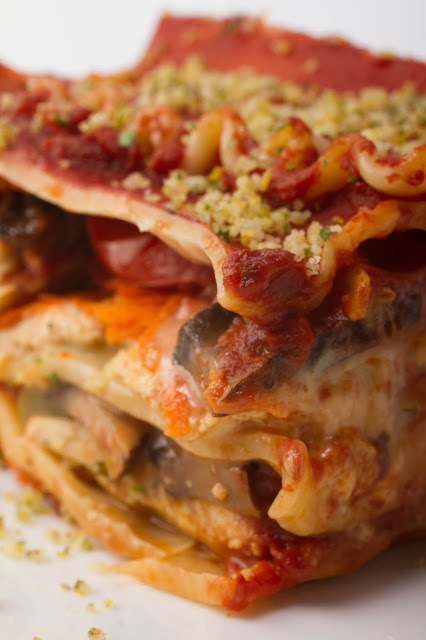 This one was so yummy and hearty, it pretty much turned into our dinner! Being allergic to cheese, I love anything that's creamy yet dairy-free. This one fits the bill. Raw Cashews provide a creamy base for this easy-to-make red pepper dip. Garlic, lemon, basil and red pepper provide the delicious flavor. With just a handful of simple ingredients and a good blender, this appetizer will please anyone - even those who are gluten free! Everyone has heard that eating broccoli is good for you. It's a cruciferous vegetable and contains phytochemicals that helps the body fight cancer cells and prevent tumor growth. Broccoli contains the enzyme myrosinase that helps convert these phytochemicals into their most potent, cancer-fighting forms. Unfortunately, this enzyme is destroyed by heat. So the best way to take advantage of these health benefits is to eat raw broccoli. Don't Like Raw Broccoli? Dip it in This! 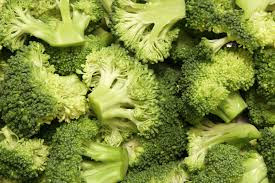 I don't really enjoy raw broccoli as much as I like it steamed. But for some reason, I totally love raw broccoli when it's coated in this yummy dip! 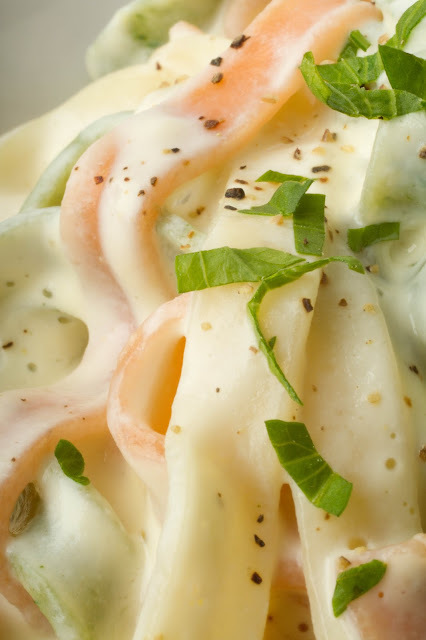 So if you want to get the most health benefits out of broccoli, radishes, cauliflower, daikon, and other cruciferous veggies, try dipping them in this creamy appetizer. 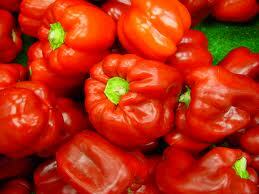 Bell peppers are another vegetable (they are actually a fruit) that are best eaten raw. 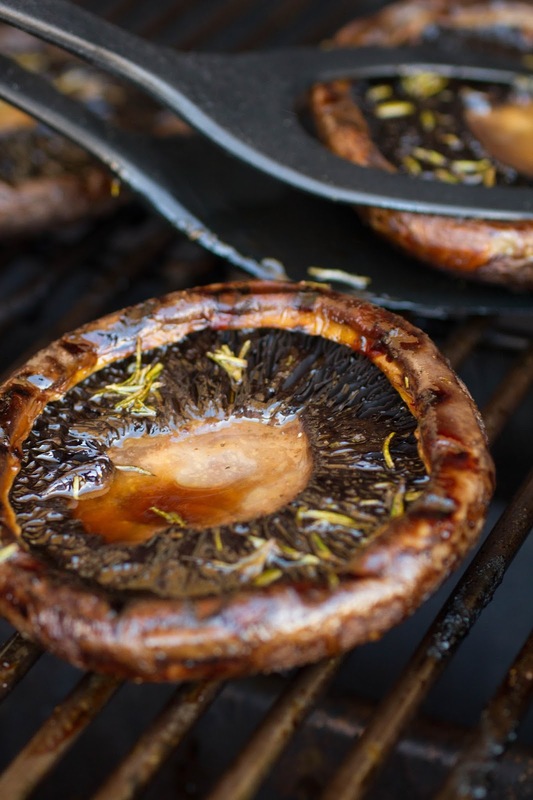 They are an excellent source of vitamin C but this critical vitamin is extremely heat sensitive. That's why I use raw red bell pepper (and not roasted red bell pepper) in this recipe. Eat red peppers raw to get the most vitamin C.
Allow 6 hours for soaking cashews. Soak the cashews for 6 hours. 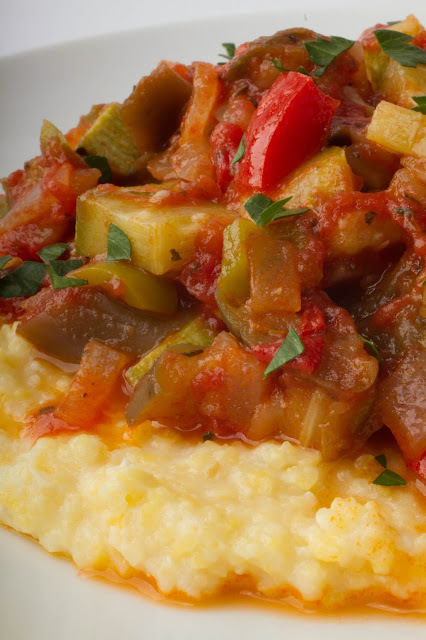 Rinse well and place in a high-speed blender with bell pepper, lemon juice, garlic, salt, and pepper. Process until smooth. Add about a tablespoon of water, if needed, to achieve the desired consistency. Remove the mixture from the blender and place in a bowl. Stir in the basil and adjust the salt and pepper if needed. 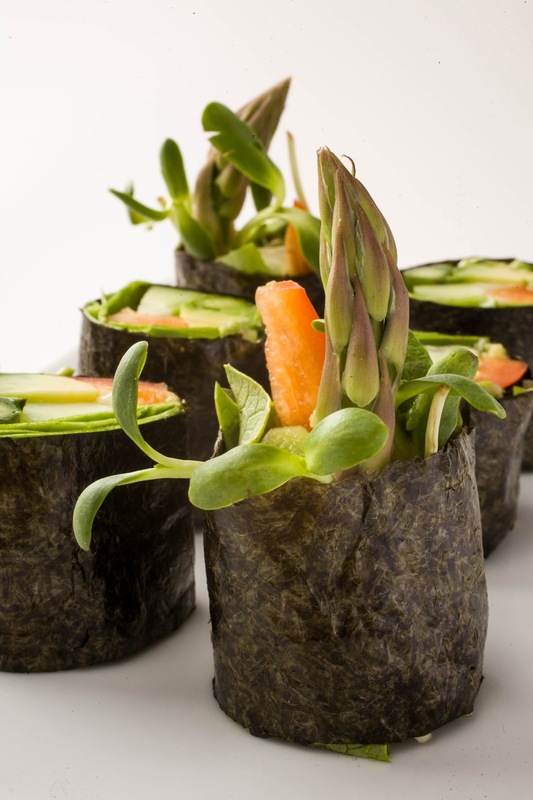 Serve with sliced raw veggies - broccoli spears, radishes, cucumbers, cherry tomatoes, etc. Per serving (dip only): 170 calories, 12 g total fat, 2 g saturated fat, 29 g omega-3 and 2,198 g omega-6 fatty acid, 0 mg cholesterol, 6 g protein, 13 g carbohydrates, 2 g dietary fiber, and 439 mg sodium. take a look at my ebook, Health Begins in the Kitchen: Delicious and Easy Vegan Recipes and Seasonal Food Plan Plus Raw Food Cleanse. Organic Peach Jam - only 13 calories per tablespoon! I no longer have a peach tree but luckily the roadside stands and farmers' markets are loaded with fresh, ripe peaches. They have found their way into my smoothies, raw breakfast salads, raw crisps, cooked crisps, and salads. But looking ahead to when they will no longer be available, I need to make some delicious jam. It's Fruit Jam, Not Candy! As my longtime blog followers know, I'm a big fan of Pomona's Universal Pectin because it allows me to make jam with little or no sugar. Most pectin products require tons of sugar in order to activate the jelling process resulting in jam tasting more like candy than a fruit spread. But Pomona's Universal Pectin is extracted from citrus peel and is activated by calcium, NOT sugar. The result is that you can make jam or jelly with a little sugar, no sugar, concentrated apple or grape juice, agave nectar, honey, or no calorie sweeteners like stevia. I love this product so much that I have dedicated an entire chapter in my ebook, Health Begins in the KItchen: Delicious and Easy Vegan Recipes and Seasonal Food Plan, to making jam with Pomona's Universal Pectin. You can buy this pectin product at your local health food store or, if they don't have it, you can purchase it online from Pomona's website or Amazon. Each box comes with calcium powder and pectin. For low sugar jam, I generally use 1 1/2 cups of sugar for every 4 cups of mashed fruit. 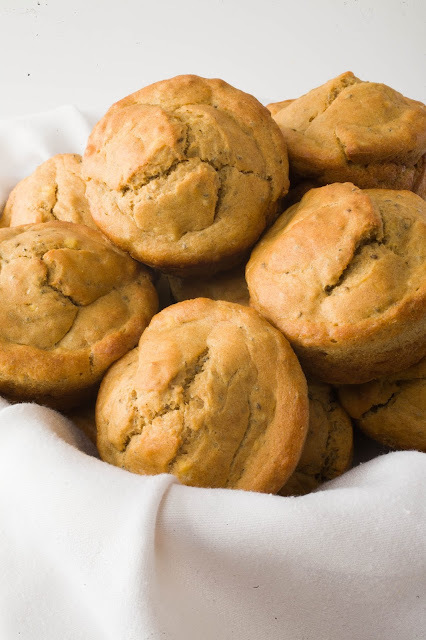 To cut the sugar down even further in this recipe, I use only 1 cup of sugar and 1 tablespoon of stevia powder (or the equivalent of 1/2 cup of sugar). The resulting jam is only 13 calories per tablespoon! Please note, this recipe is for sugar plus stevia. Or, you can omit the stevia and use 1 or 1 1/2 cups of sugar. But do not omit the sugar as It is an entirely different process to make jam with only stevia. The technique for making sugar-free jam with stevia is mentioned in the directions that come with each box of Pomona's Universal Pectin. 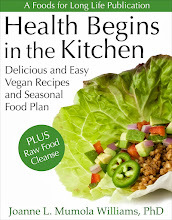 I also give detailed instructions and several example recipes for stevia-sweetened jam in my book. Make the calcium water by mixing the white calcium powder and the water in a small jar with a lid. Set aside. Make the jam: Wash the jars in hot, soapy water. Rinse well and let them stand in hot water. Wash the lids and bands in hot, soapy water. Rinse well and place in a pot of simmering water, simmering for at least 10 minutes. Remove as needed. Fill a large canning pot with water and bring to a boil. Mix the sugar, stevia and pectin powder in a small bowl. Set aside. Sugar, stevia, and pectin powder. Prepare the peaches. Score each peach with a little X. Bring a small pot of water to a boil. Drop in the peaches, a few at a time, for 30 seconds to a minute. Remove them with a slotted spoon and place them in a colander. When cool enough to touch, remove the skin from the peaches. Place the skinned peaches on a cutting board. Place peaches briefly in boiling water. Cut the peaches in half, remove pits, and then dice. Place diced peaches in a bowl and mash with a potato masher. Measure 8 cups of mashed peaches and put them in a pot with the lemon or lime juice. Bring the peach mixture to a boil. Add the pectin-sugar-stevia mixture to the pot and stir vigorously for 1 to 2 minutes until the pectin mixture dissolves. Return to a boil and then turn off the heat. Immediately fill each jar with jam to 1/4 inch from the top. Wipe the jar rims clean, screw on the 2-piece lids and submerge filled jars in the canning pot of boiling water to cover. Cover and boil for 10 minutes. If you are above sea level, add 1 minute more for every 1,000 feet above sea level. Always use a jar lifter when placing jars in or removing jars from the canning pot full of boiling water. Remove the jars from the water using a jar lifter and place upright on a rack or towel spaced several inches apart from each other. As they cool, the seals and lids will be sucked down. Let the popping begin! You'll hear the lids pop as the jam cools. Label with the contents and the date. Store in a cool pantry. Once opened, the jam lasts about 3 weeks. 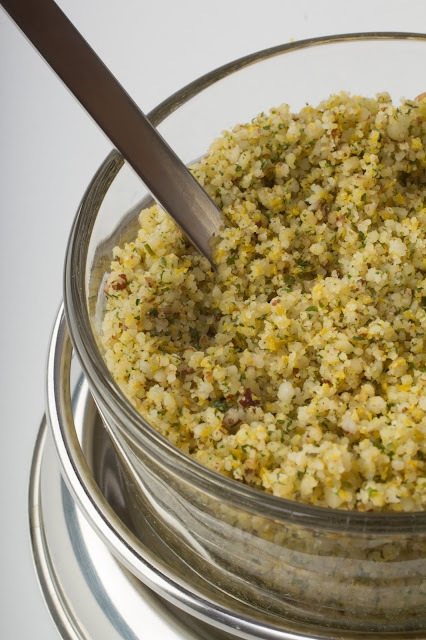 Per tablespoon: 13 calories, 0 g total fat, 0 g saturated fat, 0 g omega-3 and 16 g omega-6 fatty acids, 0 mg cholesterol, 0 g protein, 3 g carbohydrates, 0.3 g dietary fiber and 0 g sodium. Rainier Cherries Are In Season- No Recipe Required! Enjoy these sweet Rainier cherries while they are available! Here's a short post to encourage you to run out and get your Rainier cherries while they are in season. You may have passed them in the grocery store and wondered what they are. And, you may have walked quickly past them after looking at their price tag. But these beauties are worth trying as they are the sweetest cherry I've ever eaten! Their price tag reflects how difficult it is to grow these beauties. They are extremely sensitive to heat, too much rain and gusts of wind. To add insult to injury, the birds eat about a third of the crop! This cherry was named after Mount Rainier and was developed by Harold Fogle in Washington State University's breeding program in 1952. But it wasn't available to the general public until eight years later. It is a cross between the Bing and the Van cherry. Rainier cherries are beautifully colored in layers of gold with blush tones of pink and red. Washington state is the premier growing region because of its particular climate. But they also grow in other states such as Oregon, Idaho, Utah, New York and California. Some orchards are also found in Canada and Chile. 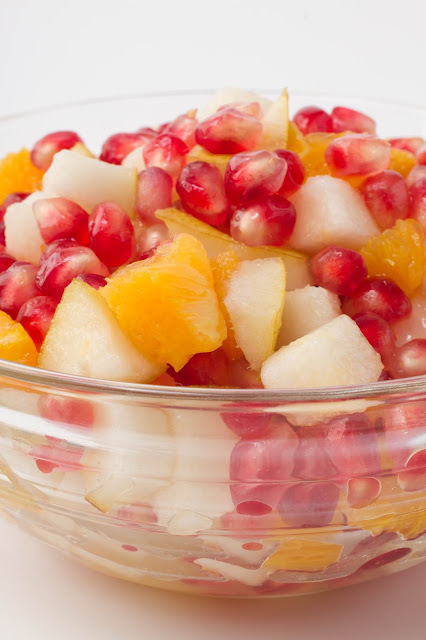 I'm sure you can bake these into pies, or whip them into ice cream or smoothies, but the very best way to eat this delightful fruit is right out of the bowl! So get them while you can. They won't be around long. If You Consume Calcium-Fortified Foods Or Take Calcium Supplements, You May Need To Supplement With Magnesium! Last year I warned of the danger of taking too many calcium supplements. This is a perfect example of where "more" is not "better", especially if you are not balancing your calcium with other minerals or monitoring how much you are getting from your food. Yet doctors continue to overprescribe calcium supplements while, at the same time, food companies are having a contest to see who can fortify their products more. Why are Food Companies in the Vitamin Business? Given my sensitivity to over consuming calcium, I was troubled to find many of my favorite non-dairy milks were adding excessive amounts of calcium to their milk. In an effort to prove that non-dairy milk is a better source of calcium than dairy milk (it certainly is a healthier option), some brands boast that a single cup of their almond milk contains 455 mg of calcium where dairy milk only contains 276 mg. Although some people really depend on this type of fortification for their calcium, especially if they avoid dairy, foods fortified at these levels should really be regarded as supplements. Most people don't keep a running tab of how much calcium they consume each day. So if they are already taking 500 to 1,000 mg of calcium supplements and drink 2 cups of fortified almond milk during the day, they could be approaching twice their daily requirement without even considering what they got from eating green leafy vegetables, broccoli, molasses, tofu, mineral water, chia seeds, almonds and other calcium-rich foods. And if you popped a few TUMS for heartburn, you could be getting another 200 to 400 mg per tablet. Balance with Magnesium is Critical! While calcium consumption is rising, the amount of magnesium people obtain is declining due to the depletion of minerals in our soil and the processing of our foods. This is a concern because if calcium and magnesium consumption is not balanced, taking too much calcium can do more harm than good and actually cause damage to the cells. Nutritionists suggest an optimal calcium to magnesium ratio of 1:1 or 2:1 but Americans consume 5 or more times the amount of calcium than magnesium. The ability of calcium to provide healthy bones and prevent osteoporosis depends heavily on the body having adequate levels of magnesium. High calcium/low magnesium can not only lead to osteoporosis and bone fractures, but can also cause arteriosclerosis, which can cause heart disease. * Calcium excites nerves and magnesium calms them. * Calcium (together with potassium) cause muscles to contract. Magnesium helps muscles to relax. * Calcium makes bones hard but magnesium contributes to the bone structure and makes the bones less brittle. * Calcium is needed for blood to clot but magnesium prevents blood from getting too thick. The Nutritional Magnesium Association is an excellent source of information about magnesium. consider taking a magnesium supplement. Green vegetables are very good sources of magnesium because the center of the chlorophyll molecule (which is what gives green veggies their color) contains magnesium. Unrefined grains, some legumes, nuts and seeds are also good sources. Keep tabs on your total calcium consumption. Add up what you are getting from supplements and all foods, especially those that are fortified. If you are out of balance, eat more magnesium-rich foods or consider taking a supplement. Crunchy And Cool Summer Salad With Agave-Dijon Dressing - Perfect For Your July 4th Picnic! When the weather warms up, it's time to eat more raw food. Whether you're a vegan, vegetarian or meat eater, it's a good idea to consume lots of raw fruits and vegetables in the summer months. 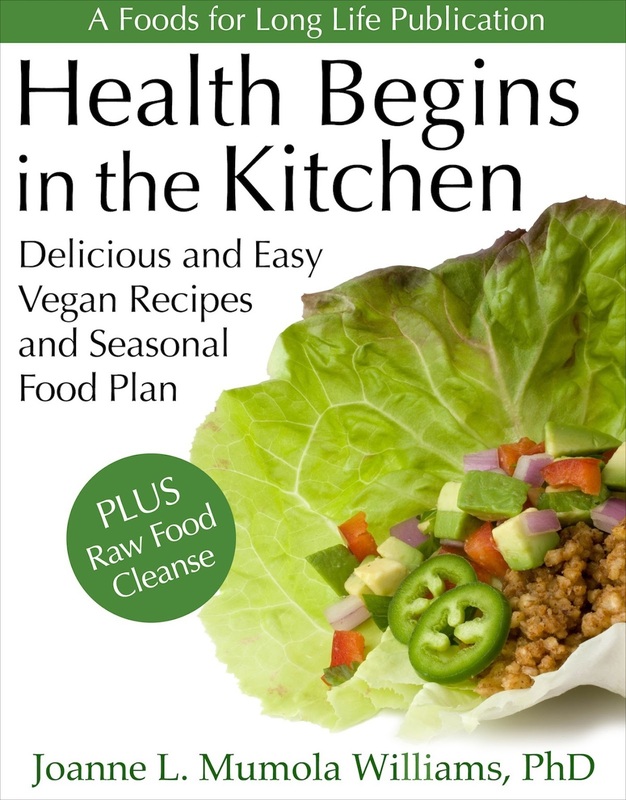 This blog and my ebook, Health Begins in the Kitchen, is based on a Seasonally Raw Food Plan which varies the amounts of raw food consumed with the seasons. 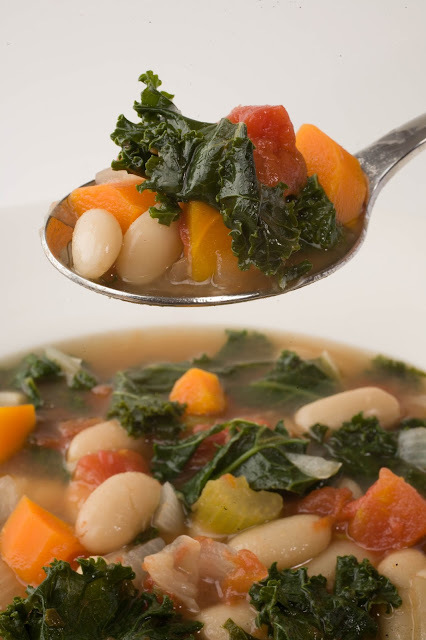 In the winter when it's cold, our bodies crave cooked foods such as warm soups, cooked grains, and baked sweet potatoes. But for now, when the weather is hot and the farmer's market and summer gardens are flourishing, let's pile on the raw fruits and veggies! We've had record breaking heat the last few weeks here on the West Coast so we've been living on raw smoothies and big salads. 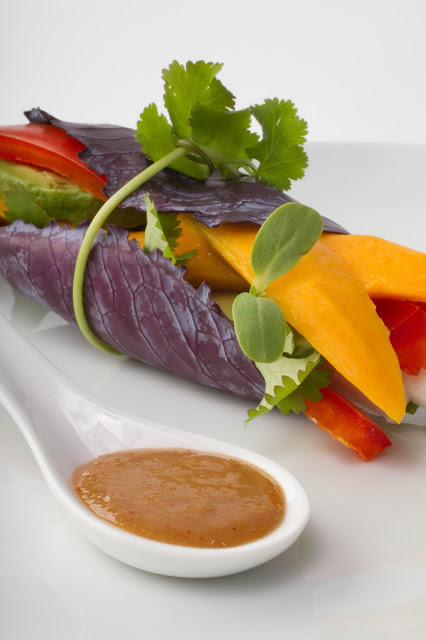 This simple salad makes a beautiful presentation and is very cooling for the body. The shredded cabbage and carrots give it a nice crunch. Agave is used as a substitute in this classic honey-mustard dressing for my many vegan followers but if you prefer honey, use it instead of agave. Make the dressing by placing all dressing ingredients in a small bowl. Whisk with a fork until well combined. Either make the salad on individual salad plates or on one large platter. Start by spreading the cabbage out as the base layer and then cover it with the carrots. Cover the carrots with cucumbers and then red onion. Place slices of avocado around the cabbage on the bottom of the platter. Cover with dressing, top with freshly ground black pepper and serve. Per serving: 148 calories, 9 g total fat, 1 g saturated fat, 555 mg omega-3 and 2,612 g omega-6 fatty acids, 0 mg cholesterol, 2 g protein, 17 g carbohydrates, 4 g dietary fiber, and 36 mg sodium.